Sensing Jane Austen on Kindle! 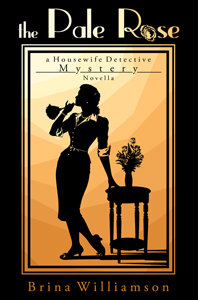 Brina Williamson’s The Pale Rose: A Housewife Detective Mystery Novella is now available at Amazon.com. Amelia Humble had a secret. She knew perfectly well that the criminal mind was something that proper ‘40s housewives, such as herself, just didn’t go poking about in. The trouble was she simply couldn’t resist. 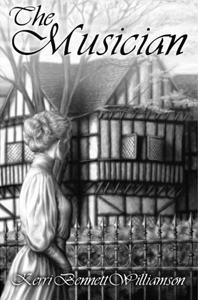 While the other ladies would sip their tea, nibble their biscuits, and gossip about scandalous trivialities in town; Amelia’s mind would drift to murder, mayhem, and mystery. Her unsuitable interests were splendidly concealed by her husband Charles, who had the occupation of private detective, and a reputation for being one of the finest investigative minds in all England. Mind you, he hadn’t always carried such distinction, having little reputation for any particular shrewdness in his bachelor days; but it could not be denied that marriage had been the making of Charles Humble. When a prominent socialite vanishes from her own cocktail party, leaving nothing behind save a solitary rose; Amelia isn’t about to pass up the prospect of wrapping her mind around such a promising conundrum. It’s not long, however, before the mystery of the missing woman leads to a demand for ransom money, and amidst contradicting statements the once solid facts are left unrecognizably twisted. Kerri Bennett Williamson’s The Musician is now available at Amazon.com. Welcome to Williamson Arts, the new home of Wizarts.biz! All the content will be updated soon.